A few months after my article “The LISP 2 Project” was published, I learned from Paul Kimpel that the language GTL includes a “non-standard” version of LISP 2. GTL stands for Georgia Tech Language. 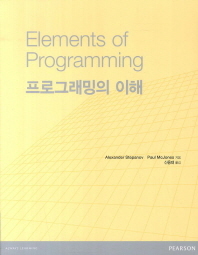 It is an extension of the Burroughs B 5500 Algol language, and its implementation extends the Burroughs Algol compiler. There is a new data type, SYMBOL, whose value can be an atomic symbol, a number, or a dotted pair. There is a garbage collector, and a way to save and restore memory using the file system. GTL was designed by Martin Alexander at the Georgia Institute of Technology between 1968 and 1969. The source code is available as part of the Burroughs CUBE library, version 13, and the manual is available via bitsavers.org; see here for details. “The LISP 2 Project” appears in the October-December 2017 issue of IEEE Annals of the History of Computing (open access). I first heard about LISP 2 around 1971, from a 1966 conference paper included in the reading for a U.C. Berkeley seminar on advanced programming languages. The goal of LISP 2 was to combine the strengths of numerically-oriented languages such as ALGOL and FORTRAN with the symbolic capabilities of LISP. The paper described the language and its implementation at some length, but by 1971 it was pretty clear that LISP 2 had not caught on; instead, the original LISP 1.5 had spawned a variety of dialects such as BBN-LISP, MACLISP, and Stanford LISP 1.6. In 2005 I began a project to archive LISP history and kept encountering people who’d been involved with LISP 2, including Paul Abrahams, Jeff Barnett, Lowell Hawkinson, Michael Levin, Clark Weissman, Fred Blair, Warren Teitelman, and Danny Bobrow. By 2010 I had been able to scan LISP 2 documents and source code belonging to Barnett, Herbert Stoyan, and Clark Weissman. In 2012, after writing about Hawkinson and others in an extended blog post “Harold V. McIntosh and his students: Lisp escapes MIT,” I decided to try to tell the story of the LISP 2 project, where so many interesting people’s paths had crossed. My sources included original project documents as well as telephone and email interviews with participants, and several participants were kind enough to provide feedback on multiple drafts. I let the article sit in limbo for five years, but last year after I published another anecdote in the Annals, editor Dave Walden encouraged me to submit this one. On December 28, 2017, as the article was about to go to press, Lowell Hawkinson died suddenly from an accident. Lowell Hawkinson passed away at the age of 74 on December 28, 2017 as a result of an accident. 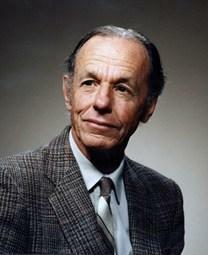 Lowell was a pioneer in LISP implementation and artificial intelligence. He co-founded Gensym Corporation in 1986 and served as its CEO through 2006. This obituary gives more details of his life and accomplishments. Although my interactions with Lowell were brief, his kindness and modesty were manifest. He will be deeply missed by his family and friends. “In Search of the Original Fortran Compiler” appears in the April-June 2017 issue of IEEE Annals of the History of Computing. If that link doesn’t work, you can read my final submitted version here. I wrote the article to chronicle the search I began in late 2003 to find the source code for the original FORTRAN compiler for the IBM 704. Much of the search was documented right here on this Dusty Decks blog, which I created in July 2004 as a sort of advertisement. I’d like to thank Burt Grad for encouraging me to write the article. Burt is a friend who began working on computer software in 1954 and hasn’t stopped — for example, see here and here and here and here. Update 3/31/2019: Here are photos from a November 2017 memorial held for McIntosh at the Faculty of Computer Science of the Institute of Science at Autonomous University of Puebla, Puebla, Mexico. Update 1/5/2017: For more on McIntosh’s professional career, see these obituaries at Physics Today and Journal of Cellular Automata. Harold V. McIntosh died November 30, 2015 in Puebla, Mexico. 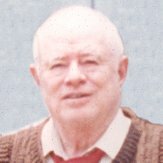 He was an American mathematician who became interested in what is now known as computer algebra to solve problems in physics, leading to his early adoption of the programming language LISP and to his design of the languages CONVERT (in collaboration with Adolfo Guzmán) and REC. His early education and employment was in the United States, but he spent the last 50+ years in Mexico, and received a Ph.D. in Quantum Chemistry at the University of Uppsala in 1972. McIntosh was born in Colorado in 1929, the oldest of four sons of Charles Roy and Lillian (Martin) McIntosh. He attended Brighton High School in Brighton, near Denver. In 1949 he received a Bachelor of Science in physics from the Colorado Agricultural and Mechanical College, and in 1952 he received a Master of Science in mathematics from Cornell University. He did further graduate studies at Cornell and Brandeis, but stopped before receiving a Ph.D. to take a job at the Aberdeen Proving Ground. Two years later, he moved to RIAS (Research Institute for Advanced Studies), a division of the Glenn L. Martin Company. Around 1962 he accepted a position in the Physics and Astronomy department and the Quantum Theory Project at the University of Florida. After two years at the University of Florida, McIntosh accepted an offer at CENAC (Centro Nacional de Calculo, Instituto Politecnico Nacional) in Mexico. Over the next years, McIntosh worked in various positions in Mexico at Instituto Politecnico Nacional, Instituto Nacional de Energía Nuclear, and, from 1975 on, Universidad Autónoma de Puebla. McIntosh was widely regarded for his research, writing and teaching; for details, see Gerardo Cisneros-S.: “La computación en México y la influencia de H. V. McIntosh en su desarrollo” (PDF). He organized several special summer programs in the early 1960s that introduced a number of students to higher mathematics and computer programming (see here for example). He also had a lifelong interest in flexagons, which he shared with his students. A symposium in his honor was held a month before he died. José Manuel Gómez Soto for notifying me of McIntosh’s death and supplying the link to this obituary; Robert Yates, Lowell Hawkinson, and Adolfo Guzmán Arenas for their contributions to “Harold V. McIntosh and his students: Lisp escapes MIT”; and Genaro Juarez Martinez for informing me about the memorial celebration. In 1980, Paul McJones used this Alto to develop portions of the Xerox Star operating system. It’s been almost a year since I posted to this blog, but I haven’t been completely inactive. This week, as part of its Software Gems: The Computer History Museum Historical Source Code Series, the Computer History Museum released a set of files archived in the 1970s and early 1980s from the Xerox Alto file servers at Xerox PARC. The files include source code, executables, documents, fonts, and other files. This release has been a long time in the making. The files were originally archived to 9-track magnetic tape, but around 1991 they were transferred to 8mm tape cartridges. Around 2003, before he joined the Computer History Museum, Al Kossow, working under a Nondisclosure Agreement with PARC, transferred the 8mm tapes to DVDs, and sifted through the entire archive looking for files specifically related to the Alto — the archive had included files from many other projects over several decades. After many years of discussion, and the involvement of a number of people inside and outside of PARC, an agreement with CHM was finally signed in February 2011, and a CD with the Alto files that Al had located was given to CHM. There are 14680 files in all, of which 8598 are distinct. They include the Alto operating system; BCPL, Mesa, and (portions of the) Smalltalk programming environments; applications such as Bravo, Draw, and the Laurel email client; fonts and printing software (PARC had the first laser printers); and server software (including the IFS file server and the Grapevine distributed mail and name server). Although not many people ever used an Alto, it had a huge influence on the hardware and software we use today, so I am very pleased that this software is now available for study. The blog post Len invited me to write is here. The archive itself is here, but I recommend starting with this walk-through of the archive describing what is there and who wrote the various programs. More detail about the archive (provenance, naming conventions, file types, etc.) is available here. John, born August 14, 1918 in Pietermaritzburg, South Africa, passed away peacefully with his family by his side on November 6, 2013. He is predeceased by his wife Dornacilla of 61 years, and lovingly remembered by his sons, Edward (Phyllis) and Nigel (Susan); his twin daughters Lenny (George) and Gwenda; his sister Gwenyth; grandchildren Justin (Kristina), Linstead (Randi), Shannon, Tanya and Vernon; great-grandson Isaac; nieces and nephews, Elizabeth, Brian, Richard, Louise, Deborah, Sheryl, Ross, Janene, Randa, Dahl and Fraser; relatives, good friends and colleagues from around the world. John was the first Head of the University of Calgary Mathematics Dept. 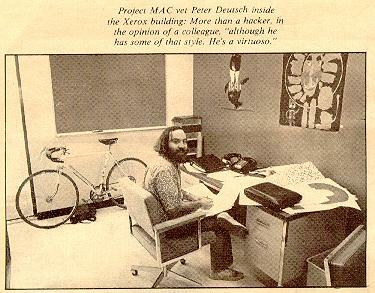 and founded UBC’s Department of Computer Science – his contributions to computer science were significant internationally. He was a key member of the international community that pioneered the field of Computer Science beginning in the early 60s. He was an avid outdoorsman who enjoyed alpine climbing, skiing and cycle touring. He also had a strong love of music playing pipe organ, piano and classical recorder. He enjoyed a full and rich life and will be greatly missed. A Celebration of his Life will be held Saturday, December 7, 2013 at 10:00am at Victory Memorial Park Funeral Centre, 14831 28th Avenue, Surrey, BC. In lieu of flowers, please consider making a donation to the charity of your choice. Several years ago I began an archival collection for the Algol family of programming languages: Algol 58 (originally known as the International Algorithmic Language), Algol 60, and Algol 68. I began looking for implementations of Algol 58 and Algol 60. Since then I’ve also found information (including, in some cases, source code), for many Algol 68 implementations. 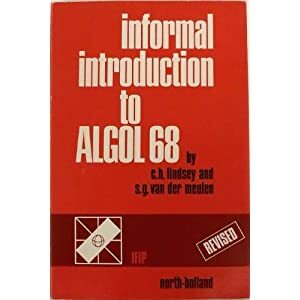 I’d like to announce the return of a very useful Algol 68 resource: a scanned copy of Informal Introduction to Algol 68, posted by permission of coauthor Charles H. Lindsey and copyright holder IFIP. This is the revised 1980 reprint of the second (“completely revised”) edition of 1977. For convenience, I’ve also posted separate files containing the large fold-out Table of Contents and the appendix of Syntax Charts. 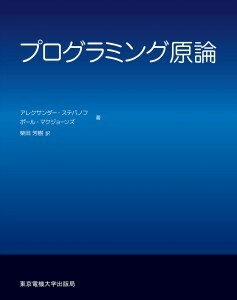 This book, together with Marcel van der Veer’s modern Algol 68 Genie implementation and the extensive documentation accompanying it (including a hypertext version of the Revised Report) provide an excellent way to study Algol 68. In addition to the above-mentioned, a number of other people have contributed to the overall Algol archive project. I’d like to single out Neville Dempsey for his dedication to spreading knowledge of and appreciation for Algol 68. If you thought the 1980 LISP Conference was the first Lisp conference, you were wrong. The 1980 conference was organized by Ruth E. Davis and John R. Allen and was held at Stanford University, with sponsorship by Stanford, Santa Clara University, and The LISP Company. It led to the biennial ACM-sponsored Lisp and Functional Programming Conference. But more than 16 years earlier, the First International LISP Conference was held at Universidad Nacional Autónoma de México (UNAM) in Mexico City, from December 30 to January 4, 1964. No proceedings was published for the conference, but I have been able to assemble some information about it. 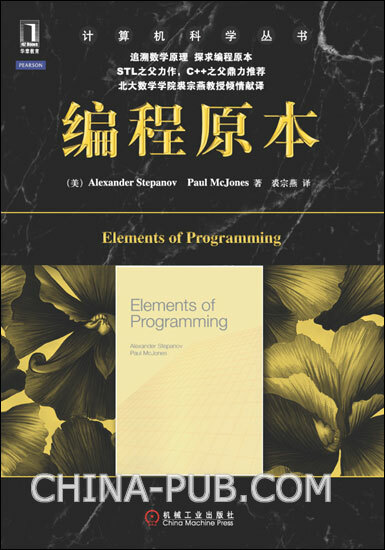 In addition to the English, Japanese, and Russian editions, Elements of Programming is now available in a Chinese edition translated by Professor Qiu Zongyan (裘宗燕) of Peking University and published by China Machine Press. It’s interesting that every translation has been in a different script.